A decade after we launched the world’s first ribbon microphone designed specifically to handle higher SPL sources, its successor, the Sontronics DELTA 2, has arrived. The original DELTA, along with our HALO dynamic mic for guitar amps, has become a must-have for many studios and live guitarists, from Bernard Butler to Radiohead's Ed O'Brien, from Steve Stevens to Aerosmith, and when it comes to build quality and perfect sound reproduction, the new DELTA 2 turns the dial up to 11! 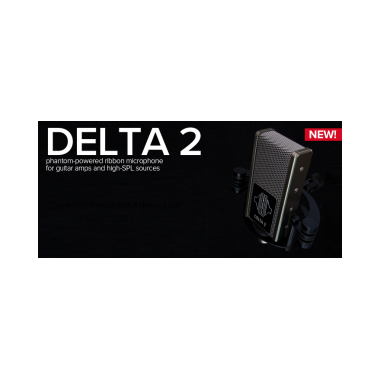 Like the original, DELTA 2 is not only the perfect partner for guitar amplifiers but also ideal for use with other high-SPL sources, such as trumpet, trombone and tenor sax. Compared to our SIGMA 2, DELTA 2's reduced sensitivity enables it to capture incredibly powerful signals without overloading its internal preamp circuit. Its rugged build and multi-layer baffling make it ready for life on the road as well as in the studio. DELTA 2 sounds even more stunning than the original, capturing amazing clarity and detail in the higher frequencies, together with astonishingly powerful mid and low tones. The DELTA 2 does an incredible job of capturing every element of your guitar sound, whether you’re recording solo parts in the studio or miking up your amp on stage. DELTA 2 captures the true tone of whatever instrument you’re recording, allowing it to sit perfectly in the mix without requiring excessive gain or EQ. Hand-built in the our Sontronics HQ and featuring our own unique circuitry, the DELTA 2 boasts UK-made electronics including a custom-wound premium-quality transformer (made in our hometown of Poole, England), and the same excellent ribbon motor as the original DELTA. The electronics uniquely incorporate RFI (radio frequency interference) filters that filter out unwanted radio frequencies, making DELTA 2 (and our other ribbon mics) even more suited to live use than before. Ours are the only ribbon mics in the world to boast this feature! Our DELTA 2 is supplied with our unique-design shockmount in a rugged ABS flightcase which protects from all the rigours of touring and live use, but also keeps the mic safe and sound between studio sessions. 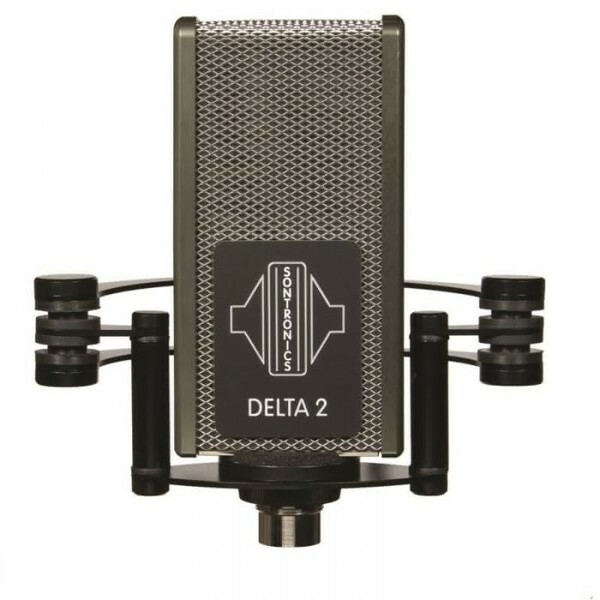 DELTA 2 is the best sounding ribbon microphone you can put in front of your guitar amp, trumpet, trombone or saxophone, and once you’ve heard it, you'll never look back! 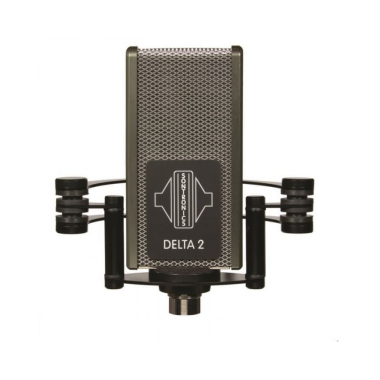 Like all Sontronics microphones, DELTA 2 is protected by our LIFETIME WARRANTY, although the ribbon element itself is not, as it is subject to varying levels of wear and tear depending on how it is used. Back in 2004, musician and audio enthusiast Trevor Coley decided to pursue his dream of creating a range of microphones that delivered professional-quality results at truly affordable prices. He began sketching out designs for innovative-looking mics with classic styling and a unique sound too, thanks to our smooth high-frequency rolloff. Sontronics was launched at the 2005 NAMM Show with a small range of studio microphones. Since then, we have grown from strength to strength and our range now includes studio condensers, live dynamic mics, valve and ribbon mics, drum and guitar mics as well as op-quality accessories and, of course, our 100% made-in-England SONORA 2 preamplifier. Our current product line-up boasts 18 microphones, two preamps, accessories and cables, plus four new mic projects currently in development!